Everyone has their favorite method of launching apps and opening folders. For example, I used to be a die-hard fan of Launchy, a keyboard-based launcher. 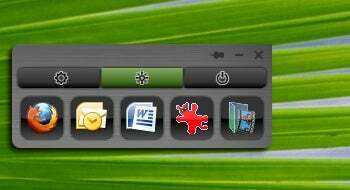 Then, when I moved from Windows XP to Vista, I ditched Launchy in favor of the latter's similar Start-menu launcher. Once installed, a click of your mouse's middle button opens the MouseExtender window wherever your cursor happens to be. Then just click the program icon or folder you want.